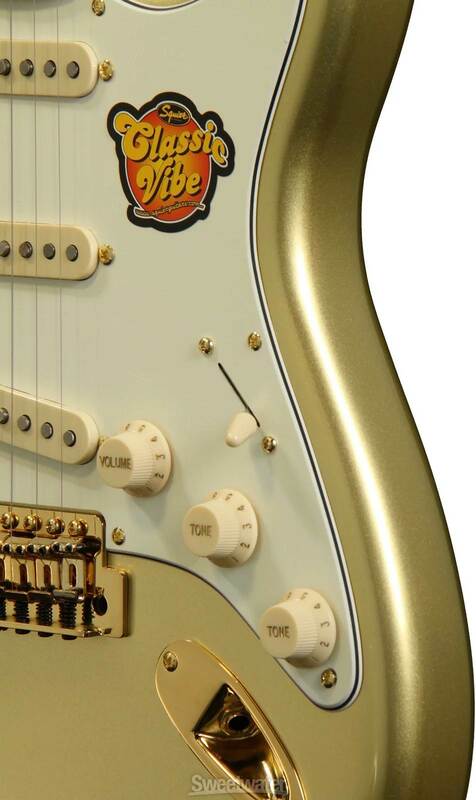 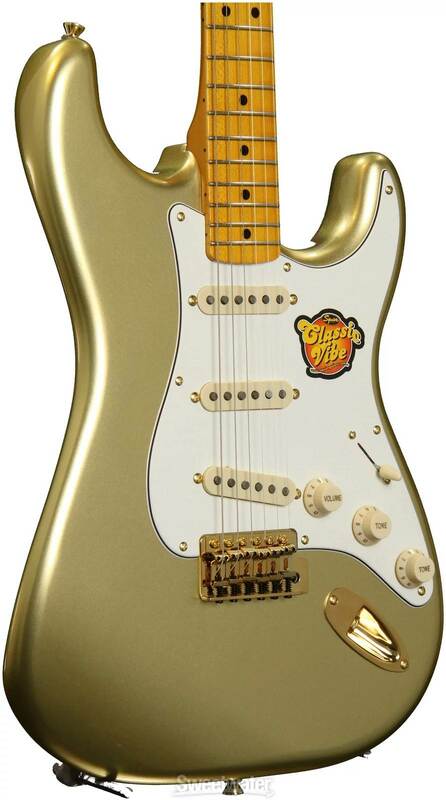 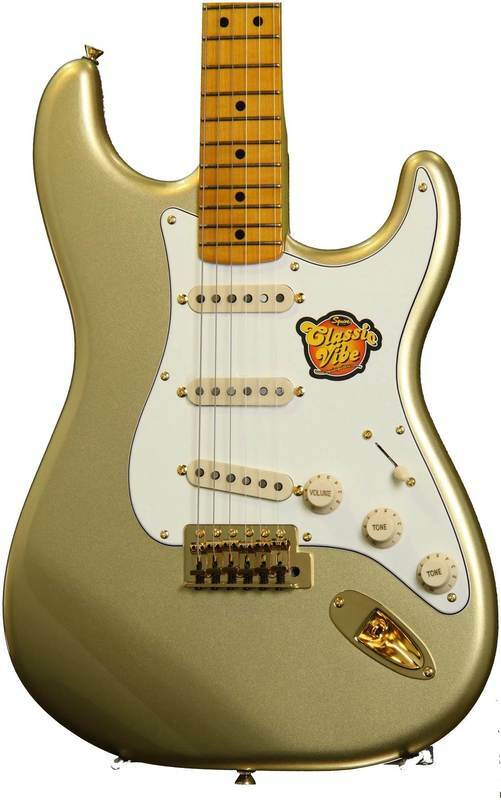 Neck Plate: 4-Bolt, Laser Engraved "1954 2014", "STRATOCASTER 60 YEARS"
2014 marks the diamond jubilee of the Stratocaster, but you'll strike pure gold when you get your hands on Squier's 60th Anniversary Classic Vibe '50s Stratocaster. 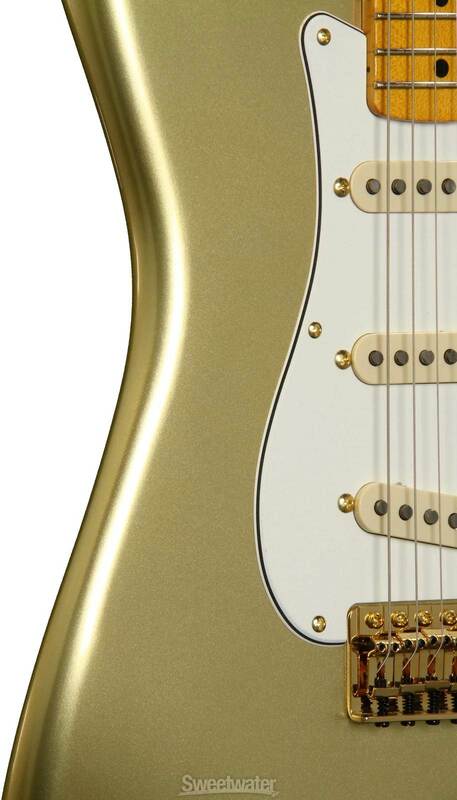 The instrument celebrates six decades of the world's greatest electric guitar with a truly gilded model featuring an Aztec Gold gloss finish and gold hardware. 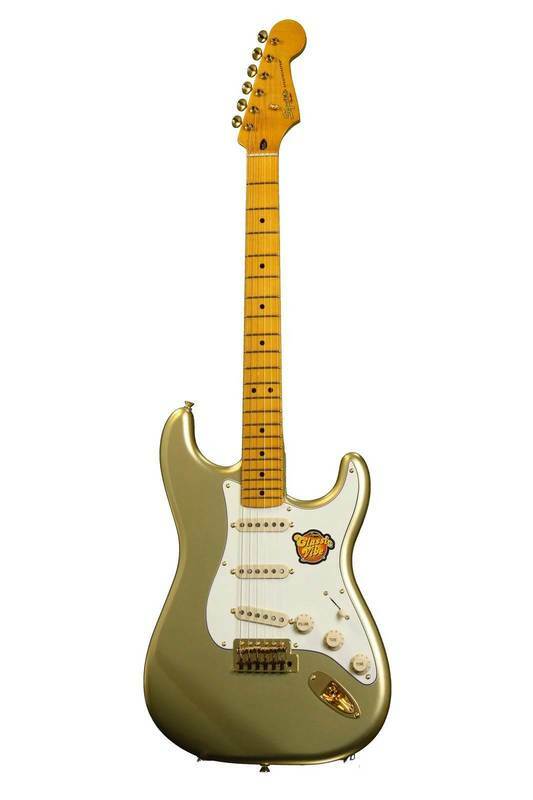 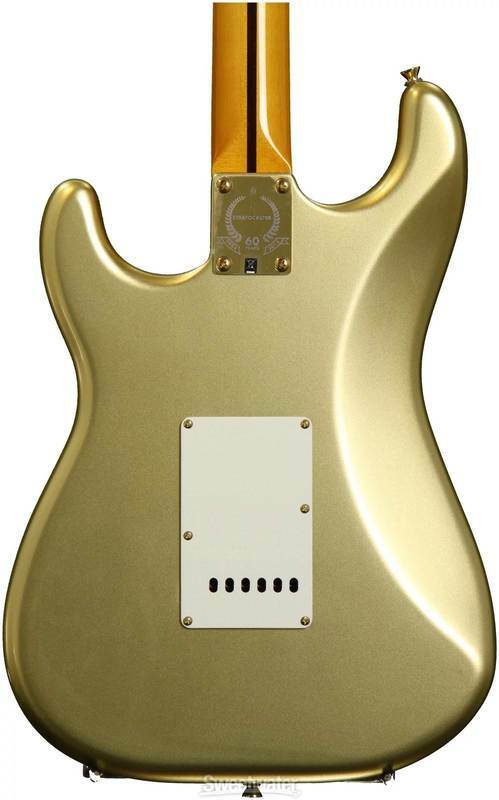 Other features include a maple neck with a comfortable "modern C" profile, 9.5"-radius maple fingerboard with 21 medium jumbo frets, three custom vintage-style single-coil Stratocaster pickups with five-way switching, three-ply parchment pickguard, vintage-style synchronized tremolo bridge with six saddles, and vintage-style tuners.